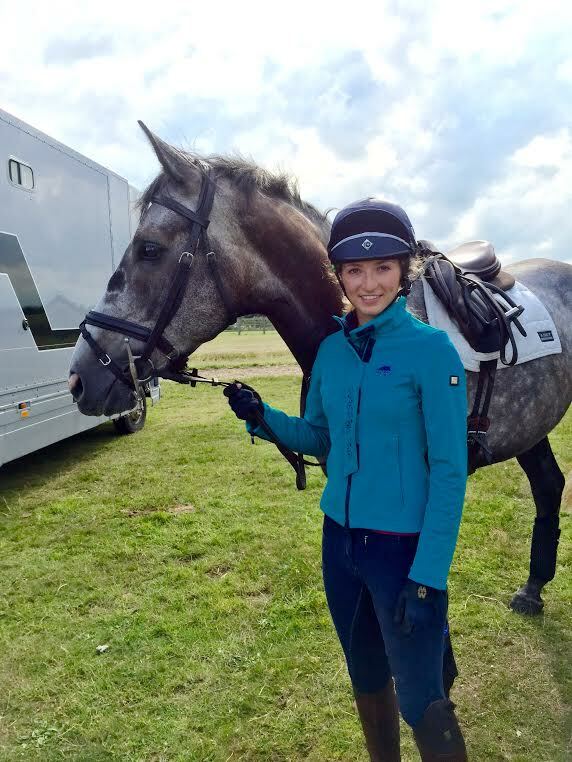 Latest News & Tips from Throstlenest Saddlery - An update on Kristina! Hi all! It has been a while since my last blog, I have finally finished my A levels which is such a relief. Well with School now out of the way I have started my Gap year, which I hope will develop into a full time career Eventing so I guess the hard work starts now. Although mum and dad are very supportive I need to convince them that I can make a living out of horses, and if not I will have to give in and go to university and get a job, eventing would end up a hobby, something I am determined that will not happen! Like so many young riders we all dream of riding for a living, however many just cannot make it work. You need supportive parents, sponsors, owners, good horses, and this is still not enough, because you must be prepared to teach and do liveries to help pay the bills. It is not a glamourous life as most of the time you are in riding gear smelling of horses, but the buzz you get when competing and the great friends you meet along the way make it all worthwhile. So far I have been very lucky as mum and dad love the sport so have been happy to support me. I have also had a very lucky break getting the ride on Judy Bradwell’s two horses Lemington Lets Dance (Dan) and Wutella. 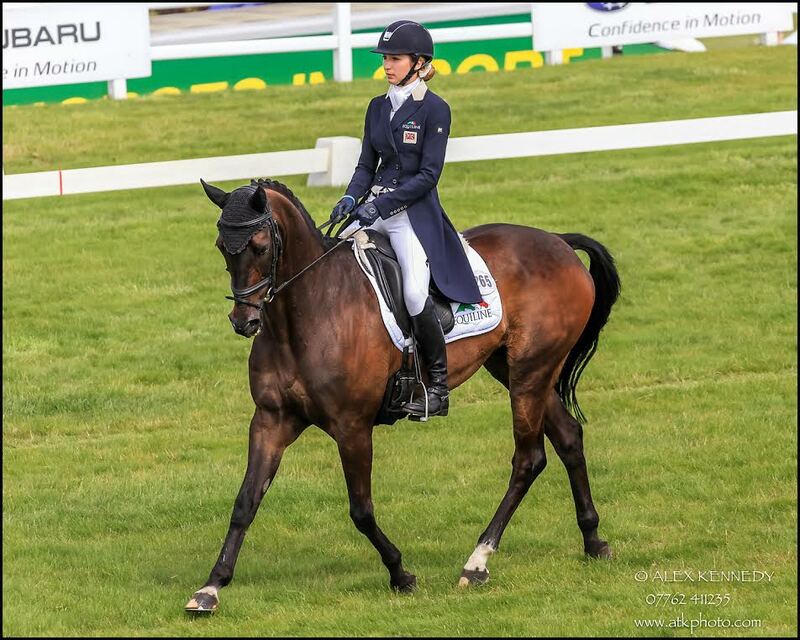 Dan has taught me so much, and we are now competing at 2 star level with confidence and represented GB Juniors at the 2014 Europeans, as well as being long listed for the 2015 Young Rider team in the 2015 European Championships in Poland. 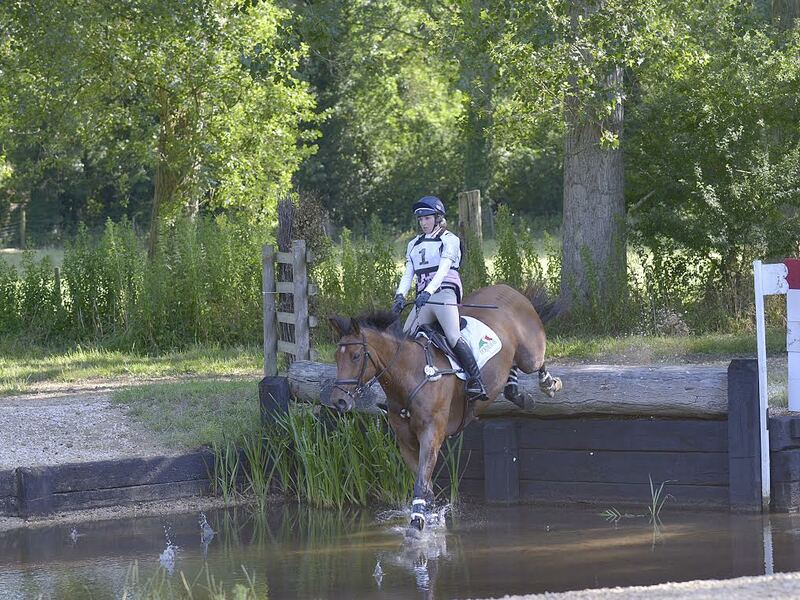 Wutella is a very special horse, which I hope to do the young rider trials on next year. Both horses would have been well outside of our price bracket but Judy loves her horses and wanted to support me so I cannot thank her enough. I need to now try and develop a relationship with one or two owners who will supply me with other horses and help with the finances. This will be hard as so many other riders are looking for them, many owners opt for the experienced well known riders so again I need some luck. Dan has not only taught me so much he has also helped me secure a fantastic sponsorship deal with Equiline and Samshield both supplying me with the highest quality and stylish clothing and riding hats along with horse ware such as blankets, rugs, saddle cloths and much more. Equiline have just launched their saddlery division and have agreed to supply me with two saddles we have already started buying their bridles as they are so nice. Over the next 12 months I plan to become a qualified instructor so I can increase the number of lessons I give to supplement my income and reduce the financial pressure on mum and dad. I will keep you informed on how this goes trying to give so tips along the way. My advice to any aspiring young rider is to try and find an experienced horse possibly one that has done higher levels but ready to drop down to 1 and 2 star they are not so expensive but they will give you the chance to be competitive and will teach you so much. Many experienced horses look easy to ride, do not be caught out many are very difficult and a hand full just like Dan, so try and find out as much as possible before you commit talk to the owner, former riders and check the BE record be honest with yourself if you cannot get on with the horse do not take it no matter how good it is, it could destroy your confidence. If you can also buy a young 4/5 year old that you can bring on over a couple of years letting the older horse teach you how to compete at the higher levels. Have as much training as possible on both the young horse and the experienced horse try and find a trainer/s that you get on with and stick with them, you will find the more they get to know you and your horses the better the lessons will become. Over the last 3-4 weeks we have been out loads Wutella has stepped up her training with a dressage competition at Richmond winning both her classes, show jumping at Speetley nearly jumping me off in the collecting ring she jumps so big and finally doing our first event last weekend at Great Witchingham. She finished double clear in the open novice coming 4th she lived up to all expectations and exceeded them I am so excited. Wutella will be out again at Burgham then we will move her up to 1 star and intermediate she has competed at 2 star before. Zac the five year old that belongs to Helen White has continued to develop he also went to Richmond and won his two classes, showjumping at Speetley was an experience for him in a competition ring improving all the time he will also be going to Burgham in the Burley Young event horse 5 year old class. 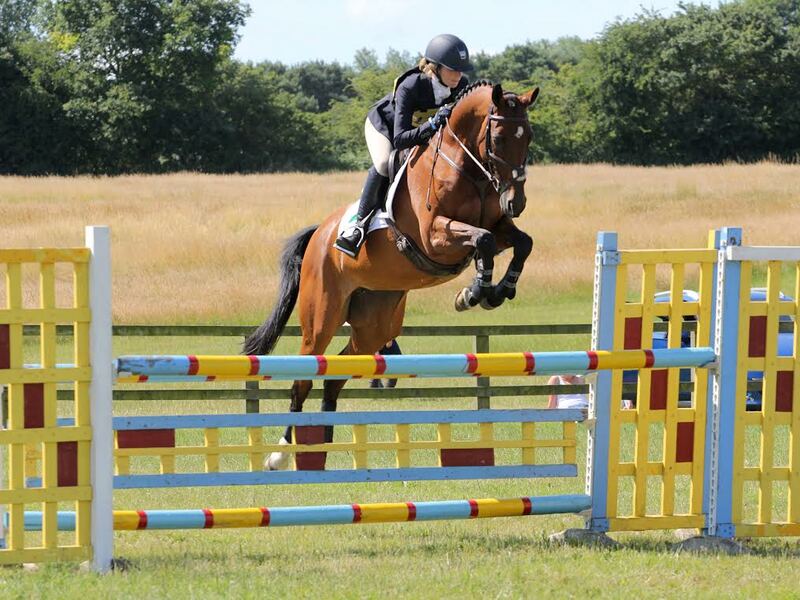 Slaney continues to do well competing in his first CIC1 star at Great Witchingham at the weekend finishing with a double clear he will move up to intermediate level at Burgham and targeting the 7 year old championships at Osberton in October. Dan continues to defy his age, we competed at the penultimate young rider trail at Barbury CIC2 star he was a handful in the dressage and show jumping(this is Dan if he is not out every week) however he was fantastic in the XC doing a lovely foot perfect round. We go to Aston-Le-Walls this weekend for the final trail at which they will announce the 6 to represent GB Young Riders at the European Young Rider Championships 2015. We are so proud of him we did not expect to be in this position at the start of the year but he has performed so well he has earnt his place on the long list. At Throstlenest Saddlery we pride ourselves on being able to supply the finest saddles, bridles and bridle accessories your horse deserves. We've been involved in horse shows, events and trials and as horse owners ourselves, we know how important comfort and quality is to every one of our clients. A happy and comfortable horse will always perform its best when showjumping in competitions, and our 35 years experience in saddlery has been spent hand-picking only the best pieces at the best value.